Meanwhile, it’s a well-known fact that the climate is currently warming and the glaciers recess. The decline of glaciers is especially noticeable for alpinists and alpine photographers. It’s the grinding marks left side and right side of the valleys which have been created by the former glacier surface. These marks show where the highest positions of a glacier have been once in the little ice-age in 1860. 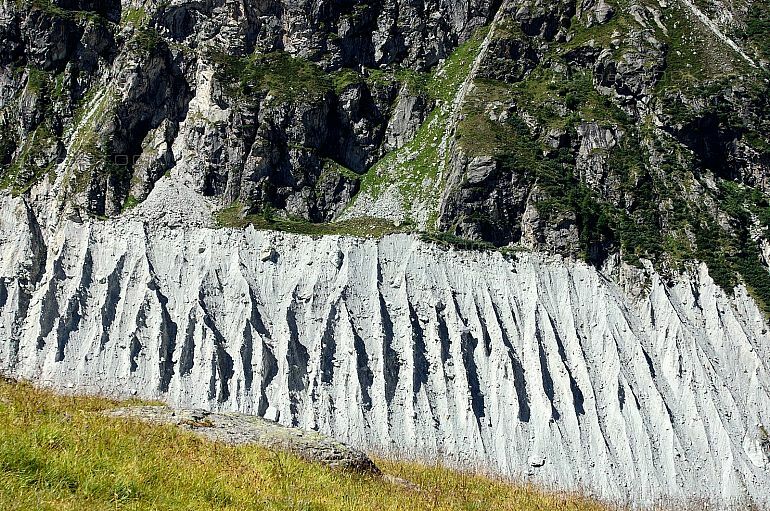 Grinded rock banks and aggregated moraines are evidence for decades of powerful glaciers. Climbers have to deal with glacial recession on plenty mountain routes: What has been a simple step once from a glacier to the rocks next to it is now a very wide bergschrund which can be really difficult or even impossible to pass. Plenty of routes change their nature, so old routes partially need to be discontinued and new options have to be found. 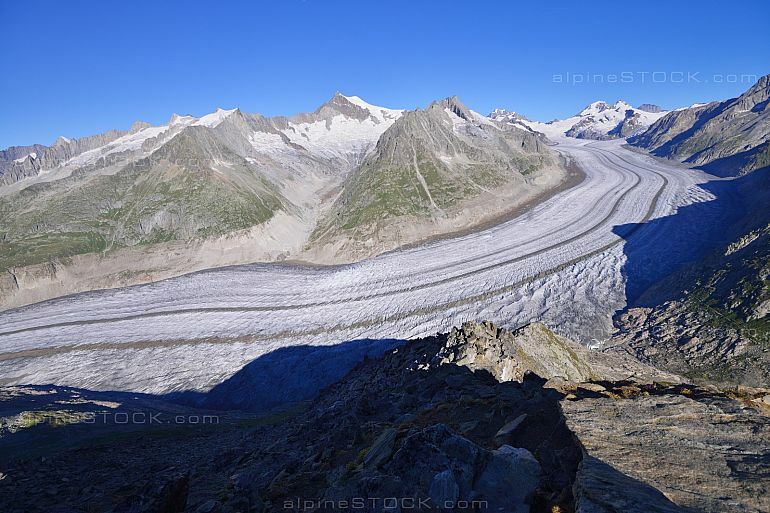 With approximately 23 km, the big Aletsch Glacier is the longest glacier in the Alps, Thanks to its sheer size and character, this glacier is less prone to the decline than other glaciers. However, the Big Aletsch Glacier was about 3 km longer and 200 meters higher by 1860 than today. 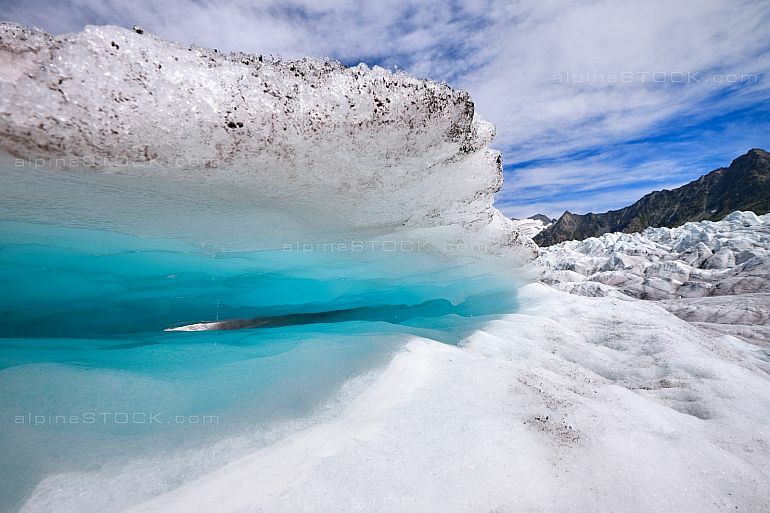 The size of the glacier diminishes up to 50 meters annually. The progress of a glacier is not a constant process. Glaciers are increasing and decreasing over a long period of time. The little Ice-Age identified a period of a colder climate between the 15th and 19th century. By comparing the glacier conditions of today with the year 1860, we compare the absolute peak of the last glacier progress with what we have today. In other words, the state of glaciers in 1860 was the result of a very cold period and it’s a maximum development. The peak of 1860 does in no way represent a condition which persisted for ages. This fact should not distract from the glacial retreat which is particularly high at the moment and which has to be seen under the evident influence of the actual global warming. You can see the glacial recession very impressive by taking a closer look at the lower and upper Grindelwaldglacier. These glaciers are hanging over big rock sections; their flow has a strong vertical compound. As a result, these glaciers loose big blocks of ice by gravitation rather than by high temperatures (which add to this effect). 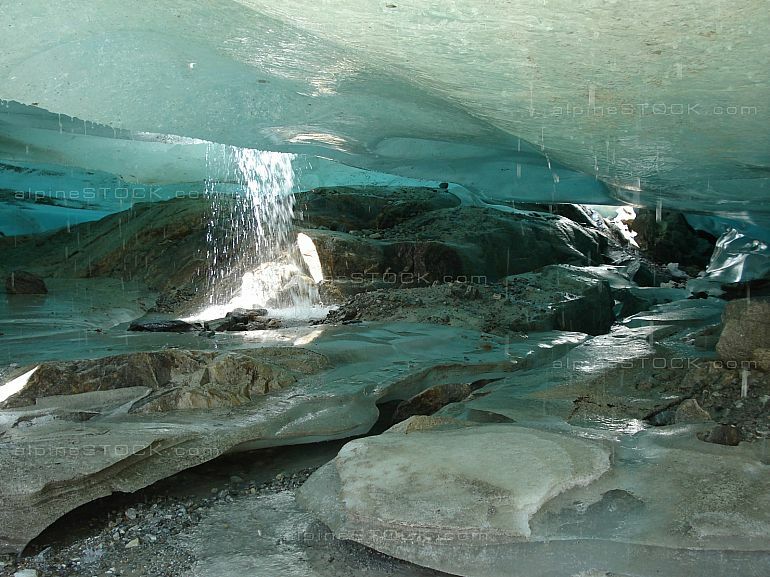 Until the year 2000, visitors were able to enter an impressive glacier grotto located in the inside of the Lower Grindelwald Glacier after climbing a few stairs. Today, you can’t see the glacier anymore from the former start of the stairs. The Morteratsch Glacier in the eastern part of Switzerland, 6.4 km by length, decreased more than 2.3 km since the little glacial epoch was over. This fact is impressively represented by repeating sign-boards along the hiking trail to the end of this glacier where we find it nowadays. The recession of glaciers was already documented by ancient painters and photographers. It’s a returning subject for every alpine photographer and painter today. 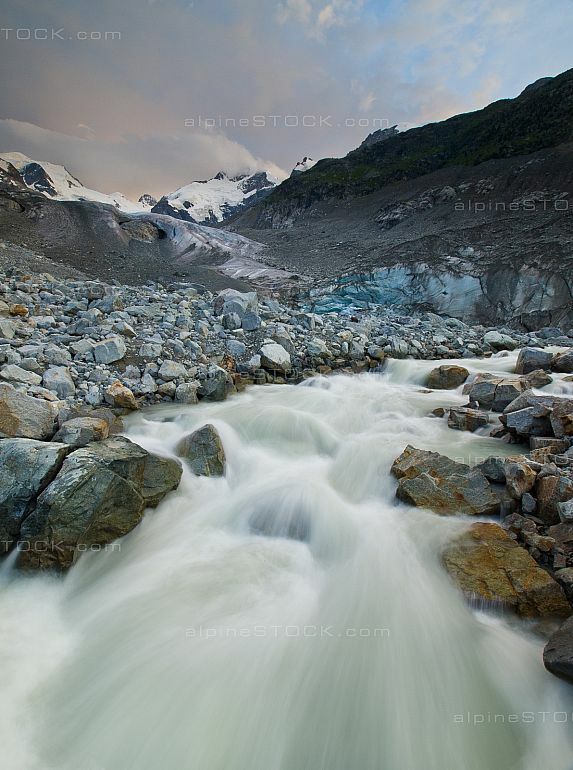 In case you have images available which show the actual glacial recession, you are gladly invited to upload your images with alpineSTOCK.com.